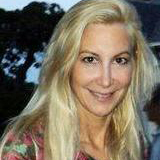 Gabrielle Bacon is a Trustee of The Moore Charitable Foundation (“MCF”) where she oversees the grant portfolio in the areas of education, health and the arts. As a board member for several community and environmental organizations, Mrs. Bacon’s work is centered on issues of environmental degradation, currently writing her PhD thesis on the nexus of human rights and pollution of both water and air. The Bacon Family has been for decades involved in the preservation in perpetuity of vast tracts of land around the Peconic Bay.